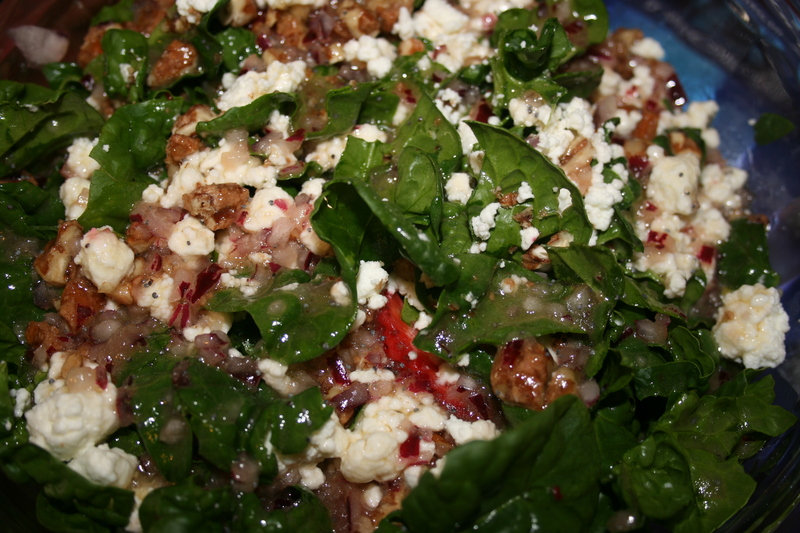 In a large bowl, toss the spinach, most of the strawberries, onion and half cheese with the dressing. Sprinkle with pecans and the rest of the cheese and strawberries. Mix together thoroughly all ingredients except oils. Whip in oils until well combined. Dressing will keep several weeks in the refrigerator.